A correct diagnosis can make a life-or-death difference for victims of dangerous health conditions or injuries. When a doctor fails to diagnose issues or provides a misdiagnosis, the consequences can be devastating. If you or a loved one are coping with the fallout of a delayed or incorrect diagnosis, you may be entitled to compensation for your damages. At Owens Moss in Jackson, MS, our medical malpractice lawyers have seen the repercussions of this negligent healthcare. We can fight hard as your failure to diagnose and misdiagnosis attorney to find restitution for you and your family. Our attorneys have been representing Mississippi plaintiffs for decades, and you can count on our experience, skill and dedication to justice. In 2015, the Institute of Medicine reported that 5 percent of Americans, approximately 12 million individuals, who sought outpatient care received an inaccurate diagnosis. 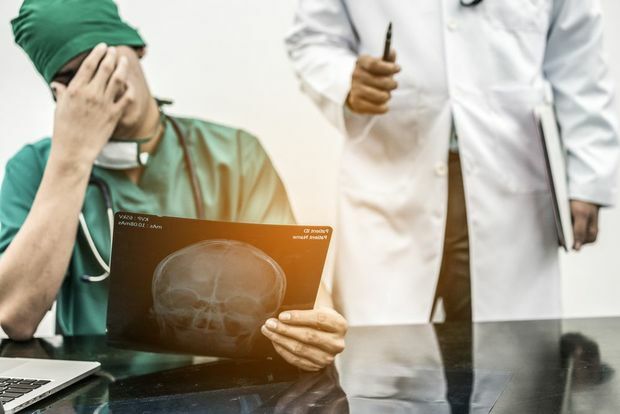 Grievous diagnostic errors account for 10 percent of patient deaths and 17 percent of injuries occurring in a hospital setting. Shockingly, medical malpractice has been cited as the third leading cause of death in the U.S. In a hospital or physician's office, many circumstances can lead to a misdiagnosis or failure to diagnose a patient’s illness or disease. There are many dedicated physicians, but not all take adequate time to ensure that their patients receive a comprehensive diagnosis. In other cases, a health practitioner may discount a patient’s concerns as “psychosomatic” or attention-seeking. Cancer, heart disease, and severe depression are among the most frequently misdiagnosed conditions. A cancer misdiagnosis may mean a patient is subjected to unnecessary chemotherapy, or does not receiving the appropriate medication in time for a cure. Failure to diagnose a prenatal condition may lead to complications during birth. There are countless devastating outcomes from diagnostic errors, including severe conditions with life-long effects and wrongful death. Shockingly, medical malpractice has been cited as the third leading cause of death in the U.S. The attorneys at Owens Moss have years of experience advocating for victims of personal injury and medical malpractice. Our track record for past clients includes many highly favorable settlements and significant courtroom recoveries. Owens Moss can provide the proven, dedicated representation you need to face the future. If you believe you are a victim of misdiagnosis or a health practitioner's failure to diagnose your condition, it is best to contact us immediately —before speaking to insurance representatives and other official representatives. These individuals are known for trying to downplay damages and deflect blame from their clients. For your best possible outcome, you need a knowledgeable medical malpractice attorney in your corner, someone who is looking out for your best interests. We can provide the proven, dedicated representation you need to face the future. During a free consultation, an attorney at Owens Moss can provide an honest assessment of your medical malpractice case and expected outcome. Please contact our office online or call us at (601) 352-8443 today to discuss your legal options.